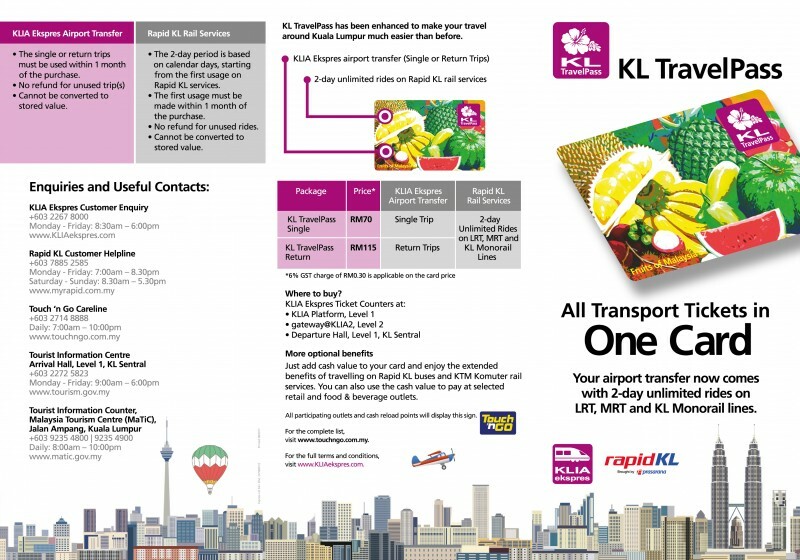 KL TravelPass offers travellers airport transfers from Kuala Lumpur International Airport (KLIA) and KLIA2 on KLIA Ekspres high-speed train to KL Sentral, Kuala Lumpur City centre and Klang Valley, to connect Malaysia rail network - MRT, LRT and Monorail, Rapid KL buses and KTM Komuter rail services. Similarly to London Heathrow Express Train Tickets and Oyster Card, Hong Kong Airport Express Travel Pass and Octopus Card, the integrated transport KL TravelPass card with TouchnGo, provides tourists and locals a seamless travel experience on rail network around Kuala Lumpur city tourists attractions, surrounding suburbs as well as to pay for purchases at selected retail, food and beverages outlets. Developed by Prasarana Malaysia Berhad and Express Rail Link Sdn Bhd, the KL TravelPass was launched by Minister in the Prime Minister’s Department, YB Dato’ Sri Hajah Nancy Shukri, Executive Chairman of ERL, YBhg. Tan Sri Mohd Nadzmi Mohd Salleh; Chief Executive Officer of Suruhanjaya Pengangkutan Awam Darat, Azharuddin Mat Sah; Chief Executive Officer of Rapid Rail Sdn Bhd, YBhg Dato’ Ir. Zohari Sulaiman and Chief Executive Officer of ERL, Noormah Mohd Noor. 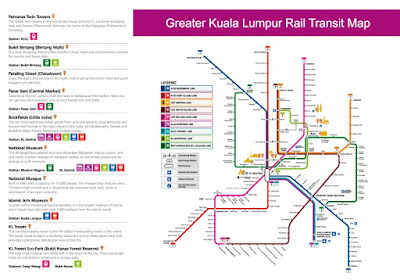 Prasarana Malaysia Berhad is the operator for Kuala Lumpur LRT (three networks), KL MRT, KL Monorail including bus services of Rapid KL, Rapid Penang, Rapid Kuantan and Rapid Kamunting. Express Rail Link operates KLIA Ekspres and KLIA Transit high-speed train services connecting Kuala Lumpur International Airport (KLIA & KLIA2) and the city. The non-stop 57-km journey on KLIA Ekspres between KL Sentral and KLIA takes only 28 minutes. Passengers can also take a 3-minute ride between KLIA2 and KLIA. 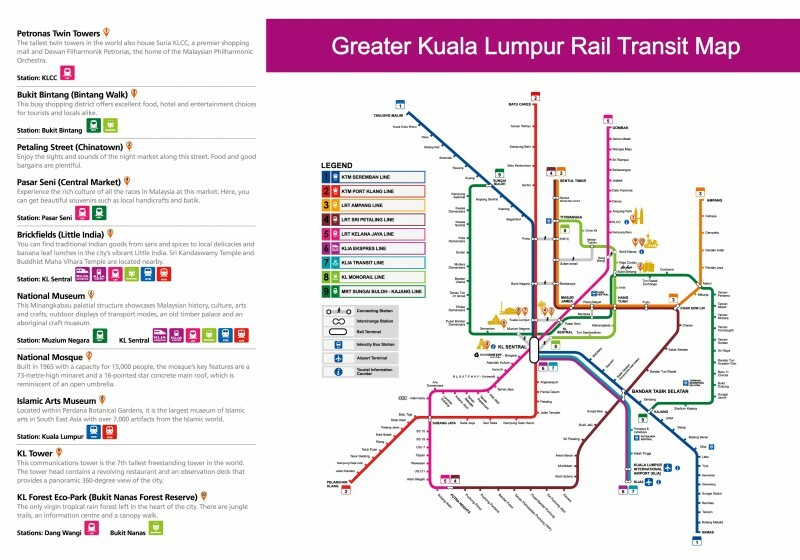 The KLIA Transit service stops at three intermediate stations Bandar Tasik Selatan, Putrajaya & Cyberjaya and Salak Tinggi. The KL TravelPass airport transfer card is available for sale at KLIA Ekspres Ticket Counters in KLIA, KLIA2 and Departure Hall, KL Sentral and priced at RM70 for single trip and RM115 for return trips (A 6% GST charge of RM0.30 is applicable on the card price of RM5), inclusive of two days of unlimited rides on KL MRT, LRT and monorail. For travelling on Rapid KL buses and KTM Komuter rail services or to pay for purchases, simply add cash value to the KL TravelPass.